Author: Webb, Sophie Set In . . .
To human eyes, the remote Aleutian Islands of Alaska look barren and rocky. The waters seem frigid, the high, sweeping winds intolerable, and the seas rolling. Yet to seabirds of the northern hemisphere, these waters are idyllic, a mosaic of habitats teeming with underwater food and alive with currents of wind for soaring. Join Sophie Webb on a voyage in search of seabirds. Just as she did with her award-winning My Season with Penguins, she once again inspires our curiosity. 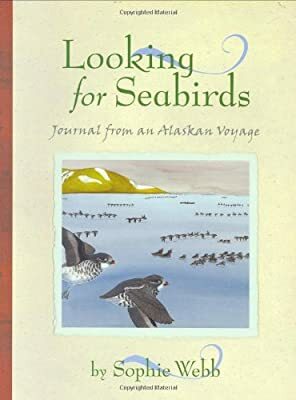 As she watches for, writes about, and paints the graceful mottled petrel, the huge black-footed albatross, or the clownish tufted puffin, she makes tangible the delicacy yet hardiness of these seabirds—creatures that have been on the earth much longer than humans yet remain vulnerable to disturbances in the health of the ocean.